Today we have part one of a guest post written by Dr. Daniel S. Goldberg, 2016 recipient of the Audrey and William H. Helfand Fellowship in the History of Medicine and Public Health. Dr. Goldberg is trained as an attorney, a historian, and a bioethicist. He is currently on the faculty at the Center for Bioethics and Humanities at the University of Colorado Anschutz Medical Campus. After news of Wilhelm Röntgen’s discovery of X-rays was cabled across the Atlantic late in 1895, evidence suggests X-ray experimentation was taken up eagerly all over the U.S. almost immediately. 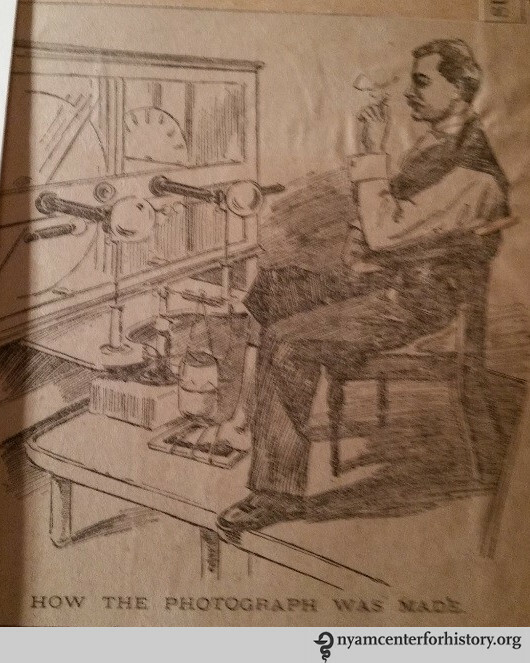 While scientists and physicians scrambled to build their own X-ray machines, newspapers in major cities throughout the country eagerly reported on their progress, with stories small and large appearing in nearly every significant daily from New York and Philadelphia to Chicago and St. Louis to San Francisco and Los Angeles. Historians of the X-ray estimate that within only a year of Röntgen’s discovery, literally thousands of articles had been published on the X-ray in both lay and expert periodicals. Even in the fertile print culture of 1896, this is a significant accounting. Therein lies the methodological difficulty for the historian of the X-ray. So often, the craft of history is a tedious search for small scraps of information that may not even exist. Yet, as to X-rays, the problem is one of feast, not famine. With so much print material appearing in so many different sources in so many different places all at the same time, sifting through the morass to articulate coherent and important narratives is difficult. What makes this task far easier is a remarkable collection held at the New York Academy of Medicine Library. The William J. Morton Collection is a small holding, consisting of only two boxes. The second box is the true treasure, containing a single folder, approximately six inches thick. Inside is an unbound series of pages consisting solely of newspaper clippings related primarily to early X-ray use in the U.S. These are Morton’s clippings, and as far as is known, the order and arrangement of the pages is original to Morton himself. The collection is astounding, for it represents something of an index or a cipher for the ferment of X-ray use in NYC in the first half of 1896. 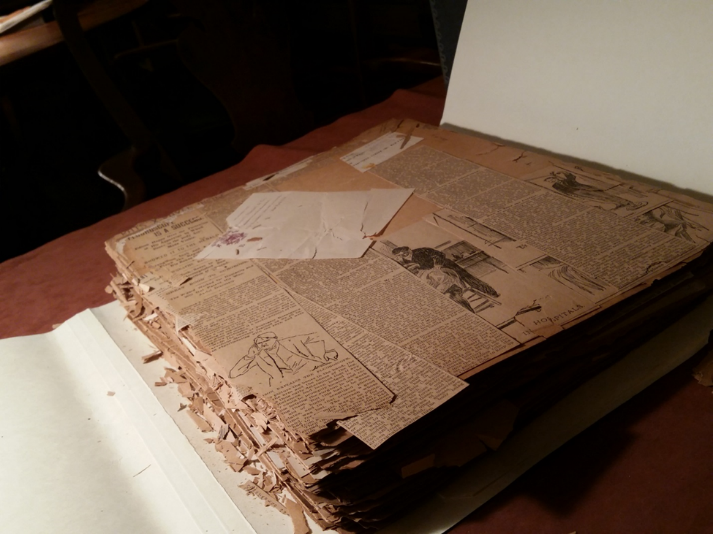 Newspaper clippings from the William J. Morton Collection, New York Academy of Medicine Library. There is no question that New York City played an important role in early X-ray use, if for no other reason than the enormous shadow cast by the inventor, Thomas Edison. There were, however, many other important figures involved in early X-ray use in NYC, including Nikola Tesla, Michael Pupin, and Morton. Morton, the son of William T.G. Morton of anesthesia fame, was a prominent physician, a fellow of the New York Academy of Medicine, and a respected neurologist and electro-therapeutic practitioner. 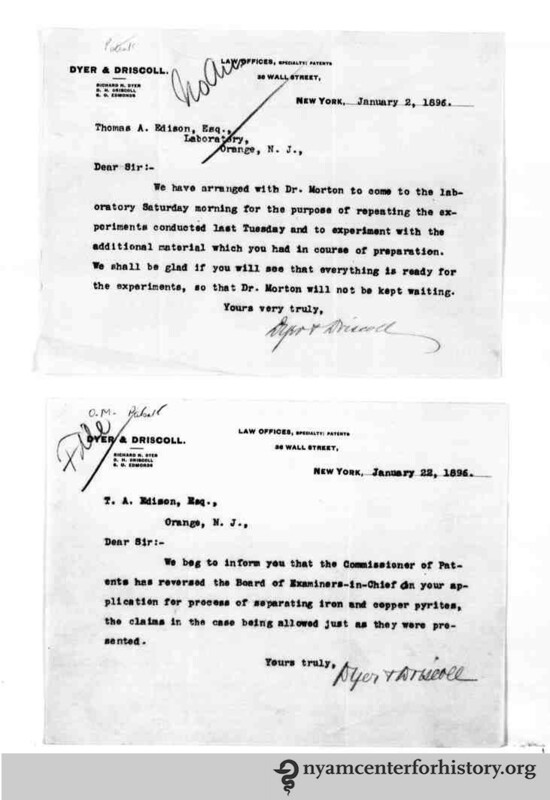 A telegram dated January 2, 1896 from Dyer & Driscoll, attorneys for none other than Thomas Edison, indicated that Morton visited Edison’s workshop for the purpose of conducting experiments (almost certainly with X-rays) several days earlier. Because Morton was unquestionably at the forefront of early X-ray experimentation in NYC, his curation is a reasonable index as to important events and moments in the early use of X-rays in NYC. There are limitations to this approach, of course. Morton was obviously interested in his own role in early X-ray experimentation, so there is something of a selection bias at work (although it should be noted that there are no shortage of clippings pertaining to Pupin’s important work). The collection is full of interesting and significant stories in the early history of X-ray use. For example, in March 1896, strongman Eugene Sandow, considered the father of modern bodybuilding, turned to Morton in an effort to locate the source of a frustrating pain he was experiencing in his foot. Apparently Sandow had stepped on some broken glass, but even his personal physician could not specify the location of the glass in his foot. The potential for the X-ray must have seemed obvious, and Sandow reached out specifically to Morton to see if he could be of help. Morton was eager to oblige. He turned the X-rays on Sandow’s foot and located the shard of glass disturbing Sandow’s equanimity. A surgeon subsequently operated and removed the glass, and the story made national news. The X-Ray of Eugene Sandow’s foot in process. Interestingly, Sandow was apparently impressed enough with the powerful rays to send an unsolicited telegram to Edison, offering his services as a human subject for any X-ray experiments Edison wished to undertake. 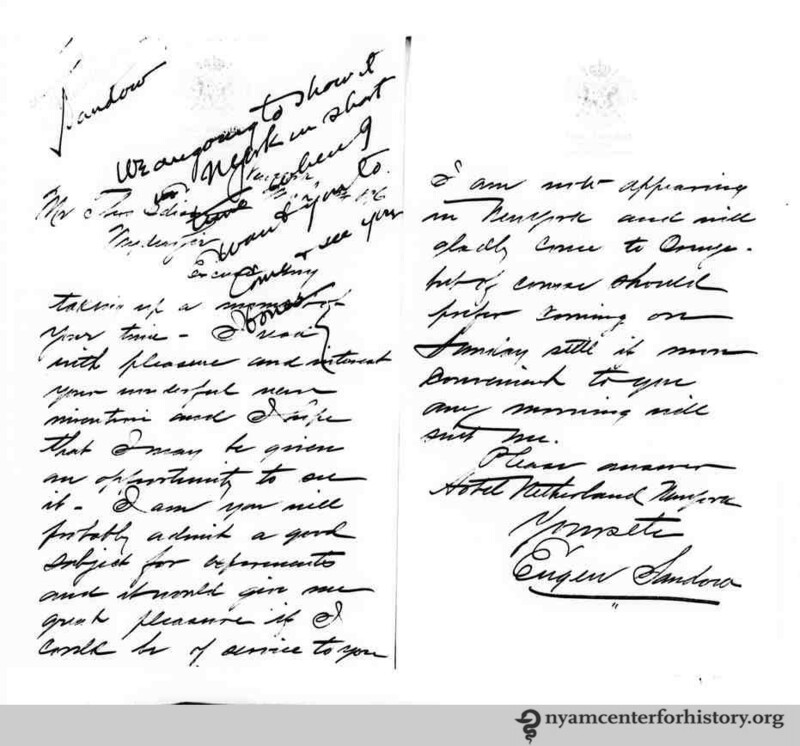 Letter to Thomas Edison from Eugene Sandow. It is difficult to imagine how powerful it must have been, in 1896, to witness an X-ray operator remotely anatomize the living body. Seeing inside the body had been a dream of physicians for centuries prior, and there is every reason to believe that its achievement has not eroded much of its social power. Americans still perform significantly more medical imaging procedures than virtually any of our comparator societies, and what is most interesting is the evidence that this utilization is driven both by supply and demand. That is, it is not merely that we have expensive X-ray and medical imaging machines; so we use them. Across a wide variety of illness paradigms, illness sufferers and patients request medical imaging; they want it to be performed on their bodies. The history of the X-ray helps us understand the enduring power of these tools. Tesla was heavily involved in early X-ray experiments in his laboratory at 46 East Houston Street; much to Edison’s likely chagrin, given the frostiness of their relationship by the time. The New York newspapers constantly asked Edison about Tesla’s progress. Pupin, a Columbia University physicist, would in short order — in 1896, in fact — go on to discover a way of substantially reducing the exposure time needed to produce an X-ray image from hours to minutes. The basics of Pupin’s method are still used today. This entry was posted in Collections, History of medicine and tagged guest post, William H. Helfand Fellowship, William J. Morton Collection, X-rays by nyamhistmed. Bookmark the permalink.